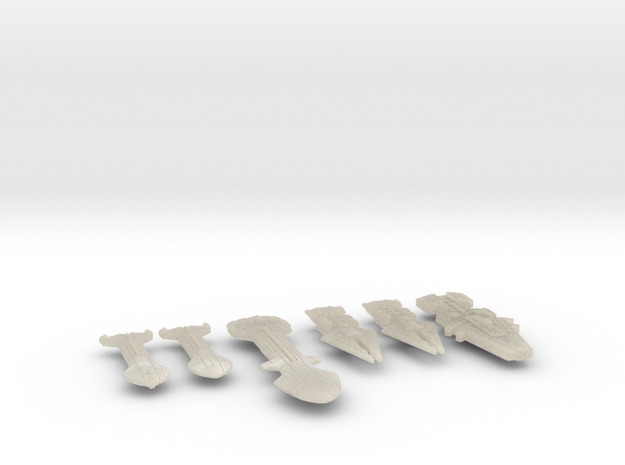 The Quick Start Rules for Miniatures was introduced in December 2014. 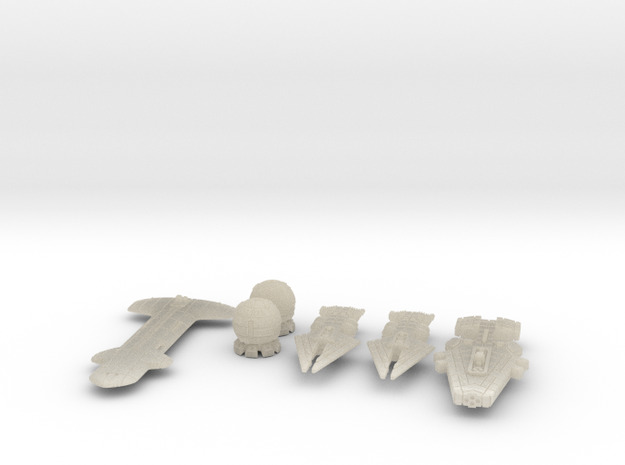 These rules are the same rules as the original Quick Start Rules, but adapted for use with the new Starfire miniatures available from Shapeways! Instead of hexes, a tabletop is used where 1" on the table is the equivalent of 1 tactical hex in the rules. Movement is done in inches and turns in degrees. Comes with a couple pages of rules, a couple of scenarios, plus cutouts for blindspot indicators, a short ruler, and a turnkey for calculating turns. 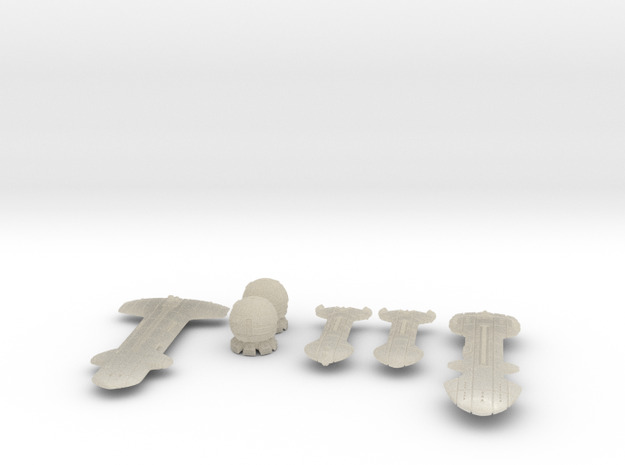 But even better, we sell miniature sets for the QSR scenarios on our Shapeways store! * Changed rules release number to 2017-08. * Added a hyperlink in the Point Defense rule to the relevant tech item. * Added a note in the Scenarios about the maps being fixed in size (QSR only). * Replaced the deprecated (M1) system with X on CA Type 2 (R), CA Type 4 (Pt), and DD Type 2 (R). * Replaced the depreciated (M1) system with Mg on BS2 Type 1 (R), BS2 Type 2 (Pt), BS1 Type 1 (Pt), and BS1 Type 2 (R). * Removed the (M1) system from the ship system’s table. * Removed mention of Multiplex Tracking in War Point Transit effects paragraph. * Updated weapons table in text to match one in cutout section.